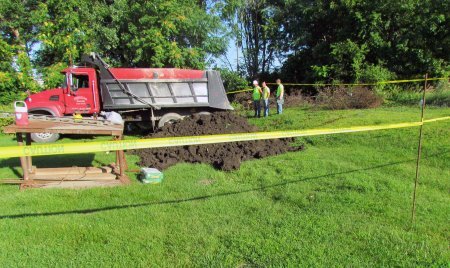 On Thursday, June 30, 2011, CCHCC and our 5th & Hill Neighborhood Rights Campaign members were on hand to witness phase 2 of the City of Champaign’s excavation of the toxic pipe at the Boneyard Creek. 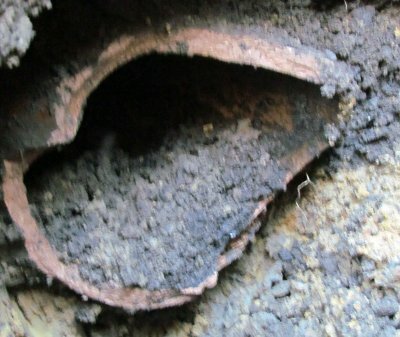 This is the pipe that we believe was used for close to 150 years to dump waste from the former manufactured gas plant at 5th & Hill streets (the Ameren toxic site), into the Boneyard Creek. Yesterday’s excavation focused on the part of the pipe that extended eastward of the tree line that is along the Boneyard Creek. Phase 1 of the excavation focused on the part of the pipe that ended at the Boneyard Creek. 1. 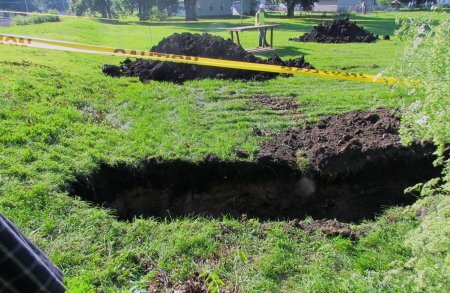 The pipe WAS found to exist in the area east of the tree line (the City’s Assistant Engineer was skeptical about whether it existed and whether it could be found). This means that the toxic pipe we found at the Boneyard Creek is not just a remnant piece of pipe. There may be as much as 5 blocks’ worth of toxic pipe between the Ameren property and the Boneyard Creek. 2. The pipe had LOTS of coal tar in it! 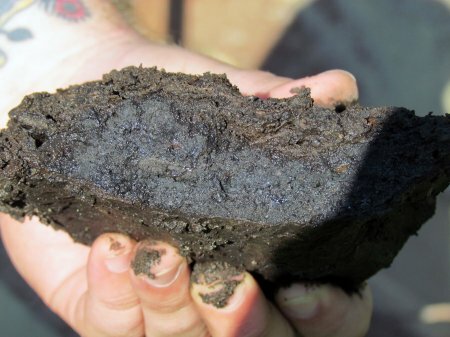 We suspected that the remaining length of the pipe (it goes for 5 blocks from the Boneyard eastward to the Ameren property) would be filled with coal tar, like what we found at the end of the pipe at the Boneyard Creek. 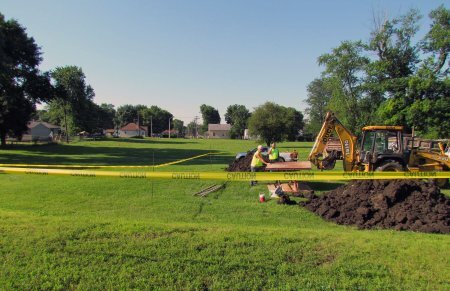 The reason this is important is that the City and the IL EPA continue to pretend that there is doubt about what this pipe is, where it came from, what it was used for. 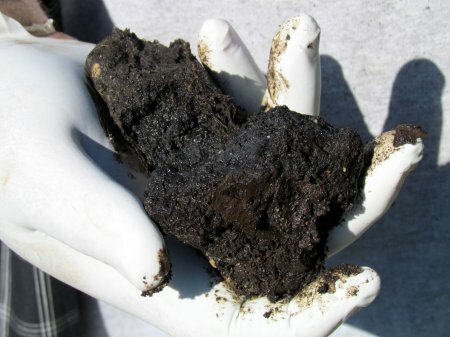 Also, the City and the IL EPA doubted that any more coal tar would be found in other lengths of the pipe. 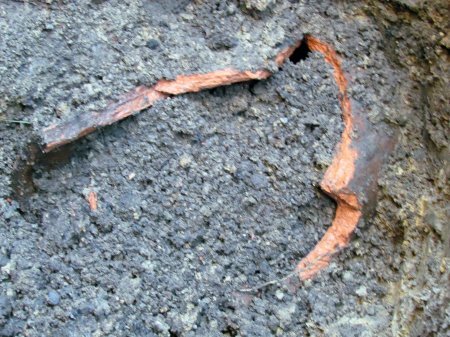 It was their opinion that what we originally found was a fluke; that it was just the remainder of old coal tar residue that had somehow just “pooled” at the end of the pipe, and that we wouldn’t find anymore. 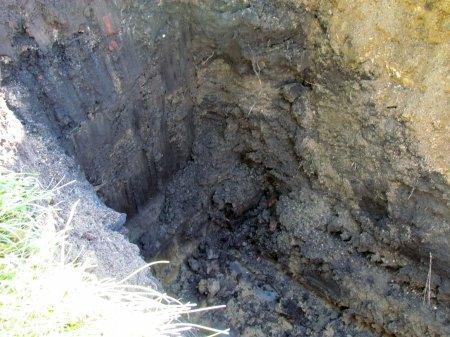 To see photos of yesterday’s Phase 2 of the pipe excavation and the coal tar we found, scroll down! Along with the City of Champaign, we are having the coal tar samples tested to confirm that it is, in fact, coal tar. With Phase 2 of the excavation complete, the City has now fulfilled their obligations under the federal Clean Water Act, and by doing so, has avoided a lawsuit from CCHCC. 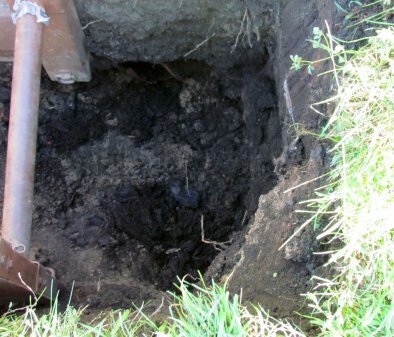 Once we get the test results back from this Phase 2 excavation, our focus will be on what we can do to get the rest of the pipe investigated and have remedial actions taken. Read about the first phase of the pipe excavation here.